At the end of August, I participated in Summer school on Bayesian methods for Deep Learning. 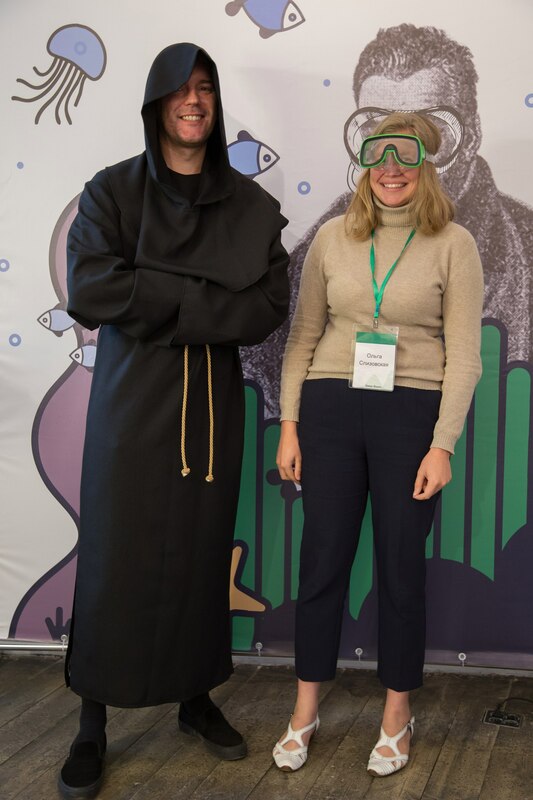 Deep|Bayes school was organized by Bayesian Methods Research Group of Higher School of Economics, Moscow, Russia. The program of the school covered a high variety of subjects in Deep Learning and Bayesian statistics as well as practices on such topics as VAE, GANs, Gaussian Processes and DL models with attention. If performing the Bayesian model selection, the dropout probability p can be selected from data. Any method which doesn't overfit is a wrong method. We need to gradually make it more and more complicated until it starts to overfit and then think of how to regularise it. Let’s overfit! Almost any prior can be added into the model as a latent variable. Unfortunately, only a few people know how to do it (I'm not among them). Apart from the intense scientific program/content, it was very nice to meet people from industry and learn their cases of ML/DL usage. Of course, there were people from NLP and Computer Vision, but it was a big surprise for me to know, that security companies have some ill-formalized and non-routine ML tasks as well. I would like to thank the organizers for such a great opportunity to learn and refresh many topics in deep learning and Bayesian statistics, as well as for a possibility to socialize with others. The organizers plan to make the next edition of the school in English so I strongly encourage everybody interested in participating. While I’m still writing a short overview for each day of the school, you can have a look at slides (in English), seminar’s notebooks (in Python), and videos (in Russian). Kingma, Diederik P., Tim Salimans, and Max Welling. "Variational dropout and the local reparameterization trick." Advances in Neural Information Processing Systems. 2015. Molchanov, Dmitry, Arsenii Ashukha, and Dmitry Vetrov. "Variational Dropout Sparsifies Deep Neural Networks." International Conference on Machine Learning (ICML 2017). 2017. Zhang, Chiyuan, et al. "Understanding deep learning requires rethinking generalization." arXiv preprint arXiv:1611.03530 (2016). Vaswani, Ashish, et al. "Attention Is All You Need." arXiv preprint arXiv:1706.03762 (2017). Li, Yingzhen, and Yarin Gal. "Dropout Inference in Bayesian Neural Networks with Alpha-divergences." International Conference on Machine Learning (ICML 2017). 2017.